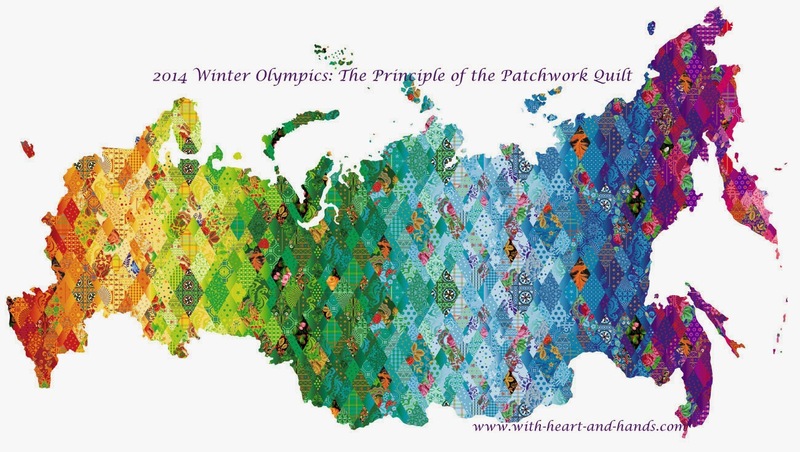 Two and a half years ago, I wrote a post about "The Principle of the Patchwork Quilt" at a a time when the theme, the look, and samples first came out as a mere possibility for the 2014 Winter Olympics in Sochi! Guess what? It's the theme that was selected! The beautiful rainbow...a symbol for all people, of all religions, cultures, and belief systems is especially meaningful during a time when a hosting country has chosen to denigrate an entire group of people, that the same country picked a theme celebrating the patchwork of diversity of cultures. Here's a look at some of the clothing that the Russian athletes will be wearing. I made a general collage to share the overall look of some of the Olympic Russian apparel. And I, for one, would love to own a piece of this as winter wear! I'm thinking the blue patchwork vest on the right near the bottom in my own collage their Olympic team clothing....oh yes, I could wear this! 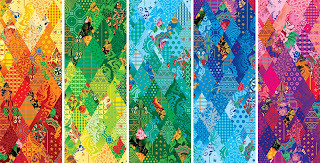 "Olympic patchwork quilt, developed by Bosco’s creative department and given to the Sochi 2014 Organising Committee, will be the official Look of Russia’s first Winter Games. Our goal was to represent a diverse range of emotions and feelings, connecting concepts like Motherland, Family, Culture, Time, Olympism, Peace, Nobility, Friends, Memory, Honour, Dreams, Beauty, Freedom, Pride, Warmth, Happiness, Greatness, Reliability, Victory, Creativity, Hospitality, Creation, Future, Russia, Planet Earth. Every region in the world is proud of its unique origins, and it is no different in Russia. That is why there are so many different local traditions, songs and crafts that highlight the individuality of their creators, each valuable in its own right. Bosco had a wealth of choices to represent Russia’s rich diversity, but in the end we settled on something familiar, warm and welcoming: the patchwork quilt. 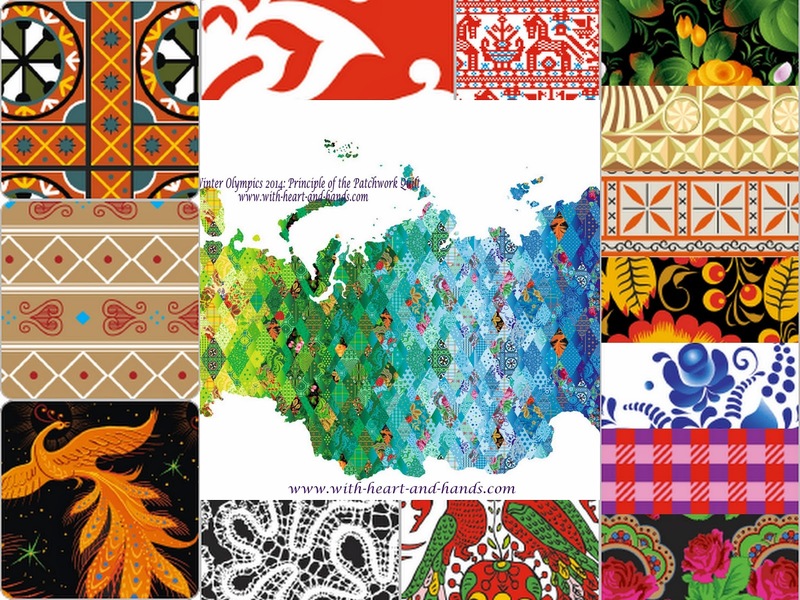 In the concept design, every patch was infused with the history and personality of traditional crafts from each of Russia’s 89 regions: in a single tapestry we combined Uftyuzhskaya painting and Vologda lace, Gzhel and Zhostovo painting, Kubachi patterns and the flowers of Pavlo Posad shawls, Mezenskaya painting and Khokhloma, Yakutsk patterns, fabrics of Ivanovo and other distinctive Russian patterns. That is how we arrived at a modern, distinctive and unmistakeably Russian Look of the Games. 2014 Winter Olympics--Principle of the Patchwork Quilt? I am quoting from the official 2011 press releases from Bosco, the official licensed clothing company for the Russian Olympic Team apparel. 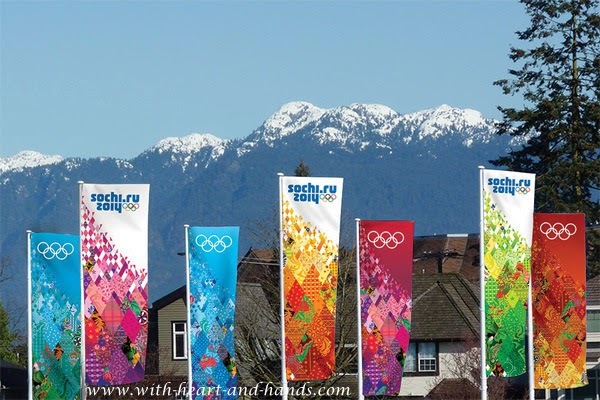 "The XXII Olympic Winter Games will take place in 2014 in Sochi, Russia. This week the Sochi 2014 Organizing Committee unveiled the concept of the "Look of the Games" which was designed by BOSCO Sports, a sponsor of the Olympics, as well as the official uniform provider for the Russian Olympic team since 2002. "The design was created from the motifs of ornaments of the most famous Russian national crafts. Here we can see Uftyuzhskaya painting and Vologda lace, Gzhel and Zhostovo painting, Kubachi patterns and Pavlov Posad shawls, Mezenskaya painting and Khokhloma, Yakutsk patterns and Ivanovo chintz. 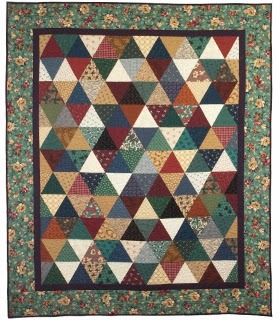 A new modern approach to the folk motifs, a thorough work on the common algorithm for construction of the patchwork quilt - “an individual net”, and on each of the 28 constituent fragments, and an unconditional work of authorship of the BOSCO creative team add an exclusive urgency to the LOOK OF THE GAMES." 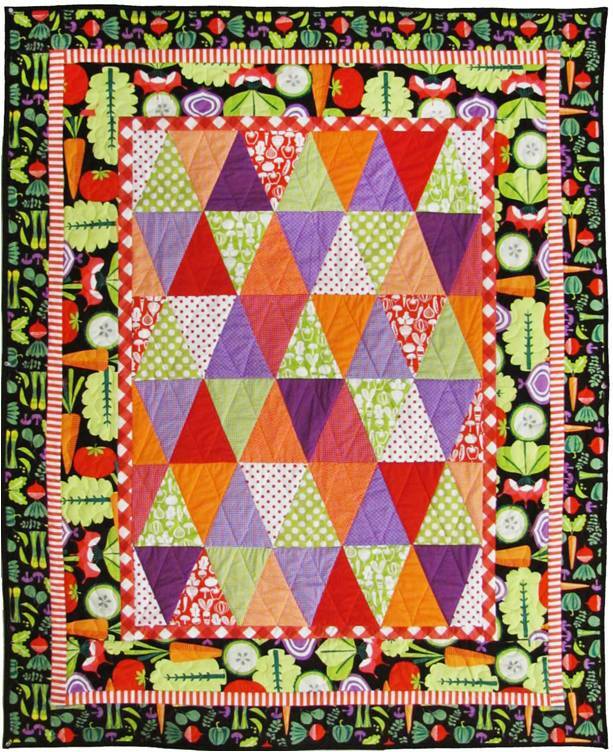 In my 2011 post, I wrote "Oh yes....If I could vote I'd definitely vote for this patchwork crafts entry as the theme of the 2014 Olympics, how about you?" Let us hope and prayer that things will improve in time for the 2014 Winter Olympics in all ways and keep the country and all of the athletes in your positive thoughts in all ways! 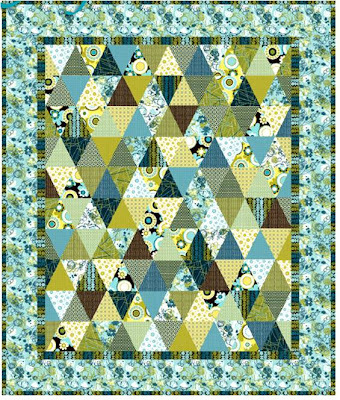 Today, the official opening day for the 2014 Sochi Winter Olympics, I am off making a patchwork quilt...it's all about "The Principle of the Patchwork Quilt"! Mine won't be like their ideas, just a patchwork quilt of my own. 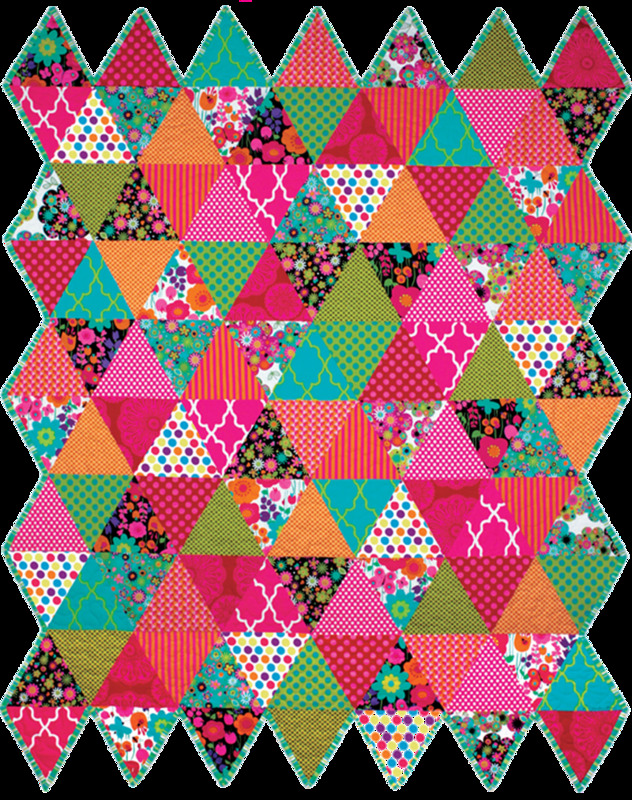 But here are some ideas and links for you as I am receiving many requests for "How to Make a Sochi Quilt". 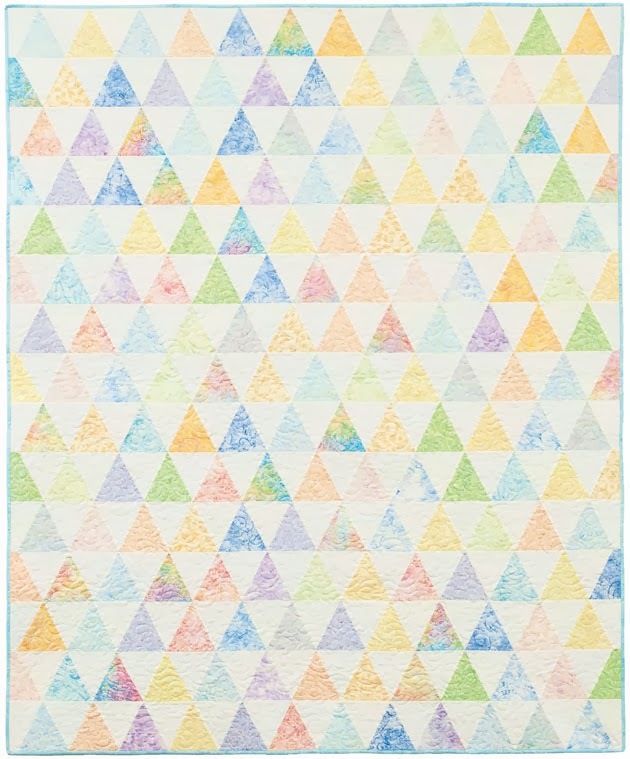 All of these Sochi designs for "The Principle of the Patchwork Quilt" resemble both the Thousand Pyramids and many of the Diamond quilts. Have fun creating your own Sochi Patchwork Quilt! 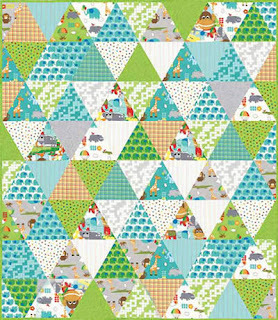 And now, Lyn Brown, on her blog has created her own "Memories of Sochi" Quilt Pattern available for free through Craftsy! "This design is simplified. There are only three panels. 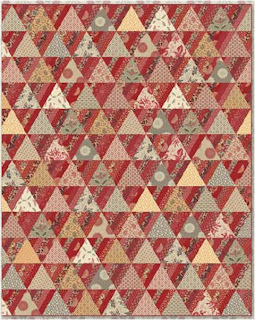 Each panel is made of just squares and quarter square triangles. 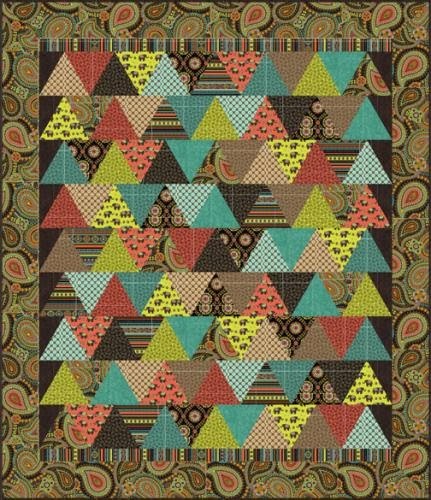 It is the color and variety of the fabrics you use that will make this quilt fabulous! If you want to make a bigger quilt, make the panels longer and/or make more panels. 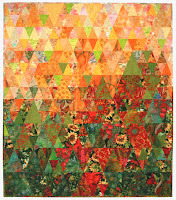 I ..and my blog... were mentioned and linked up to in The Quilter's Newsletter! 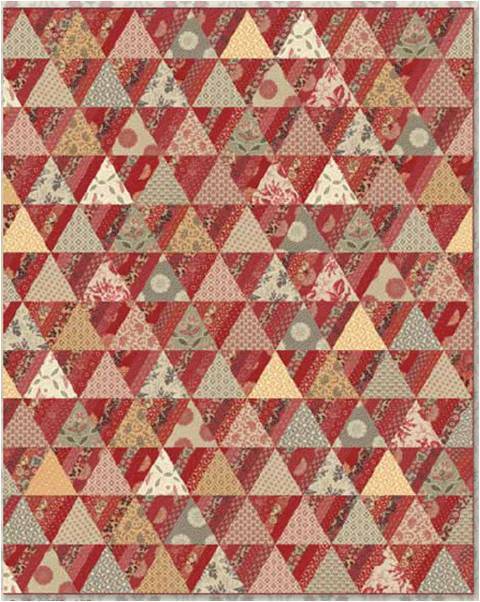 ...it's still all about the Principle of the Patchwork Quilt!